Cherries make a great pie and a great addition to any ice cream sundae. But, these sweet fruits are also packed with several nutritional benefits that may surprise you. While you're more likely to get the tastiest cherries from May to July, when they are in season, you can still reap the same benefits from frozen cherries or cherry juice, according to Farmers' Almanac. If you have trouble catching some shut-eye, try drinking a glass of cherry juice 30 minutes after you wake up and 30 minutes before dinner. The melatonin in cherries can help you sleep better, Care2 reports. High levels of antioxidants in cherries help slow down the appearance of aging. Drink one glass of cherry juice a day to enjoy this virtual fountain of youth drink, Care2 recommends. 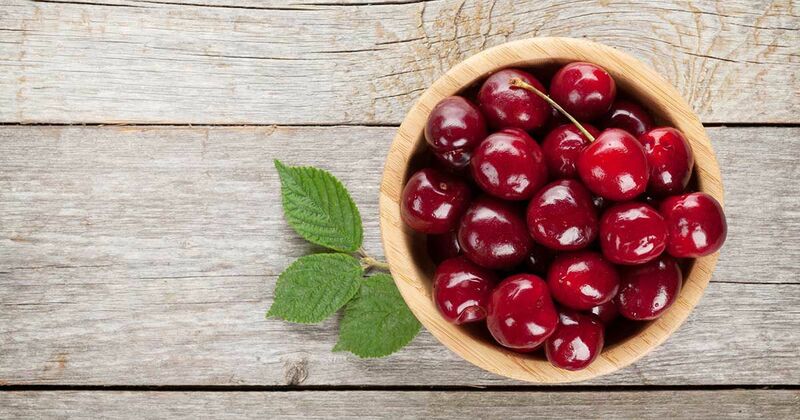 A study conducted by Professor Yuqing Zhang, at Boston University, showed that patients who ate cherries reduced their risk of a Gout attack by 35 percent, according to Care2. Skip the sore muscles after a hard with two servings of cherry juice per day. The anti-inflammatory properties in cherries make this fruit a popular choice for athletes, according to Farmers' Almanac. Give your brain a boost and protect against Alzheimer's and dementia with the anti-inflammatory properties in cherries, Farmers' Almanac suggests. One study showed that rats that ingested tart cherry powder and a high-fat diet gained less weight than the rats who did not eat cherry powder, according to Mercola. Mercola reports that sweet cherries are a good source of fiber, carotenoids, Vitamin C and anthocyanins, all of which could aid in reducing your risk of cancer. At least one study suggests that cherries could help inhibit the growth of cancer. Not all cherries were created equal. The best sweet red cherries should be a dark red. In cherries, the darker the color, the sweeter the taste. Check for firmness to get the freshest bunch. Store your cherries in a plastic bag in the refrigerator and wash before serving, not before storing, according to the The Kitchn.